Nancy Zieman, the nation’s most recognized and revered sewing expert, teaches aspiring and experienced embroiderers everything they need to know to master this craft. An easy-to-understand tutorial explains the basics of machine embroidery, and detailed photos and illustrations depict every tip of using these machines for top-notch results. 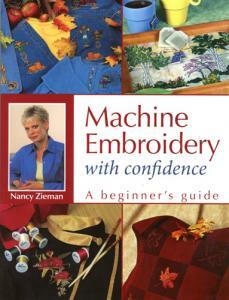 Readers will learn about what tools are needed, how to organize the embroidery area, types of machines, designs, templating/positioning, software, stabilizers, hooping, fabrics, trouble shooting and finishing touches. The book also shows readers how to apply those skills as they use machine embroidery to embellish everything from hats and shirts to blankets and towels.